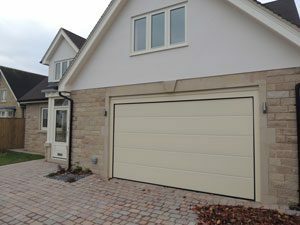 All of our sectional garage doors are custom built to the highest specification with 40mm thick door sections.The outer panel skin is finished in industrial grade Pur-Pa Polyurethane paint, the best possible quality of any manufacturer. 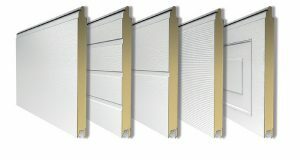 Our sectional garage doors have scored an outstanding u value of 1.35w/(m2k). We offer a fully comprehensive 10 year guarantee which incorporates a 25,000 spring cycle guarantee which equates to 17 years of average use. The side and top seals fully enclose the edge of the door frame preventing empty spaces which are known as cold breaks. The bottom seal is a multi chamber heavy duty rubber polymer seal. 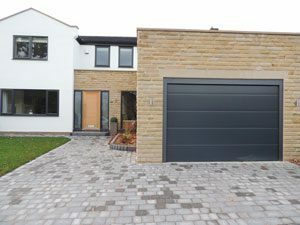 All our sectional garage doors are operated by a remote control operation with a powerful Avanti t-series 800nm motor, manufactured in Germany. Offered in a fantastic range of classic and contemporary designs. 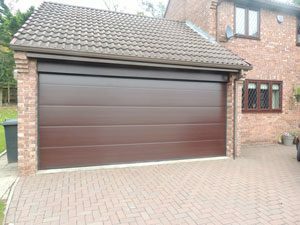 Alutech sectional garage doors complete any home beautifully. 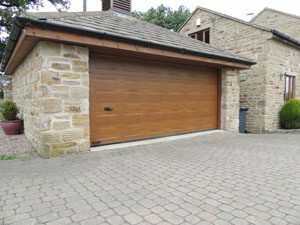 Each garage doors may be supplied in a choice of textured wood grain embossed surface or the more contemporary smooth surface. Available in a selection of 17 desirable colours you have the potential to customise the finished appearance of your door to precisely complement your preferences. 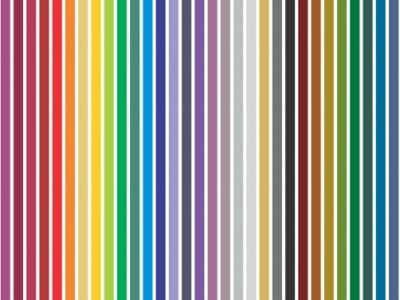 See the range of standard RAL colours, or we can colour match to any shade by special request.